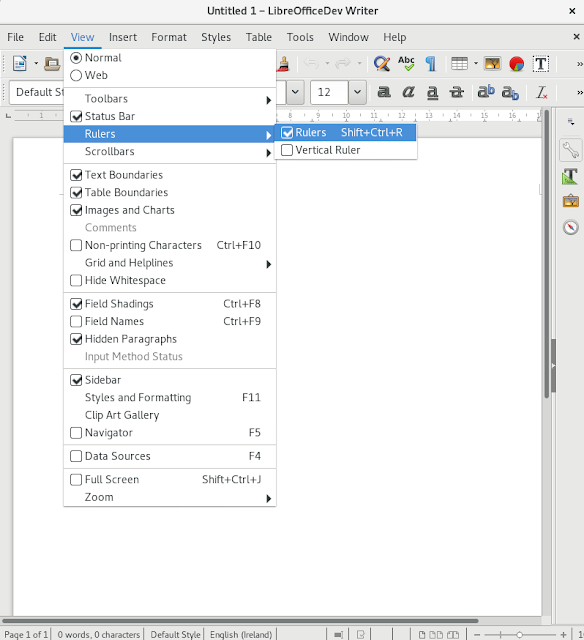 Following quickly on native gtk3 popup context menus is implementation of native gtk3 menubar and menus. For comparison here's the (not utterly awful) emulated look prior to this. 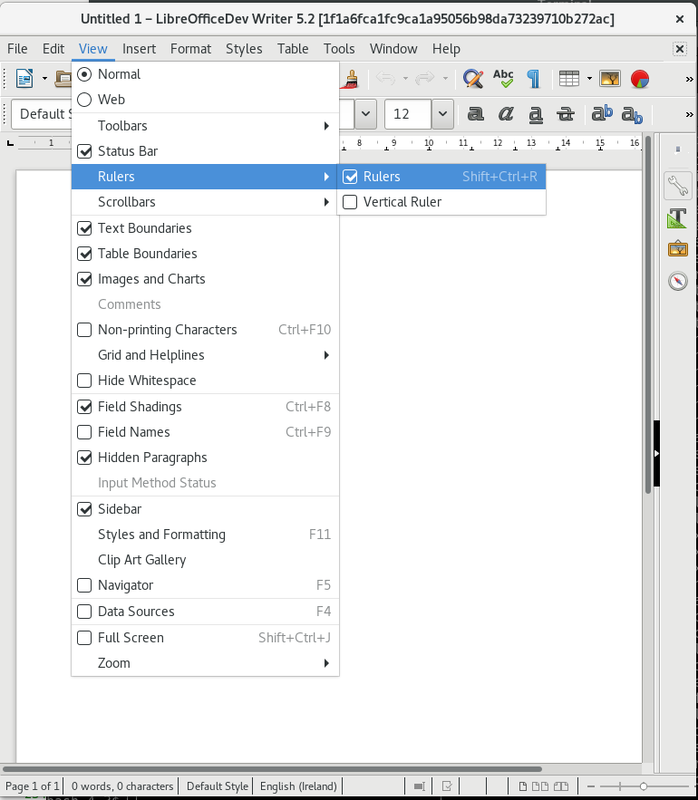 You can compare the spacing of elements in the menubar, menu separator rendering, distance of checkmarks to the following text, the display of the short cuts in different font attributes with different positioning, and menu entry line spacing. 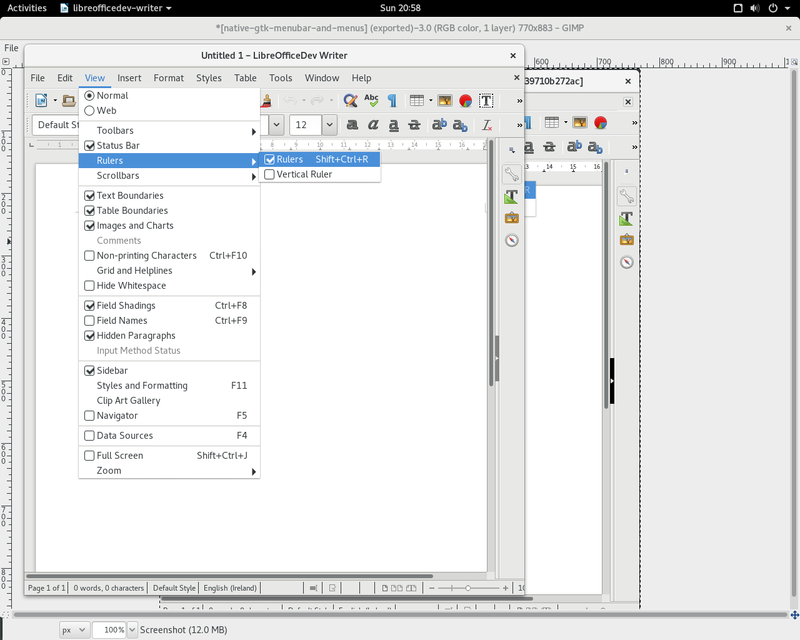 This is mostly achieved by reusing the export of the toplevel menubar and menu structure via GMenuModel work by Antonio Fernandez and Bjoern Michaelsen and just stuffing a GtkMenuBar into a GtkGrid in the toplevel widget and moving the LibreOffice "guts" widget a level down with no LibreOffice menubar visible.